Everyone can say YES to spending money; I have an established and proven reputation saying NO to projects that are a misuse or waste of taxpayer dollars. 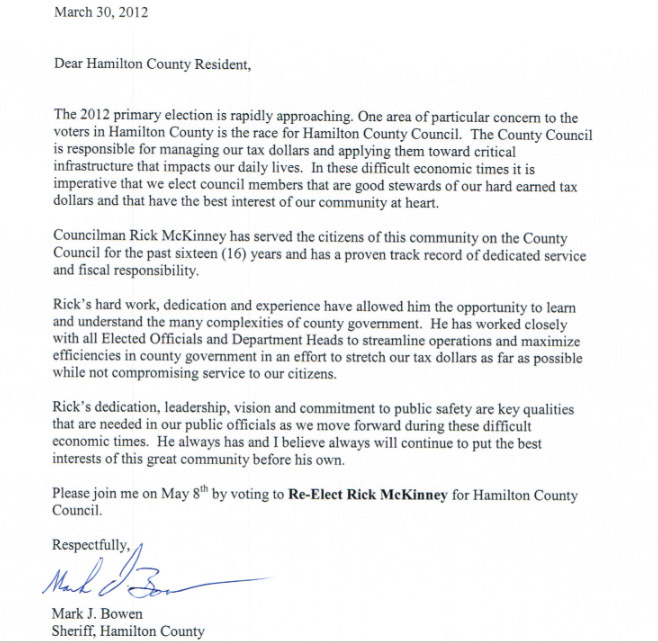 Thank you for allowing me to serve you and all the citizens of Hamilton County! 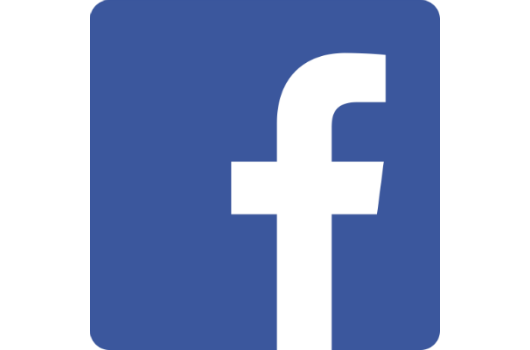 I'm excited to run for re-election in November 2016, and I'll need your support. 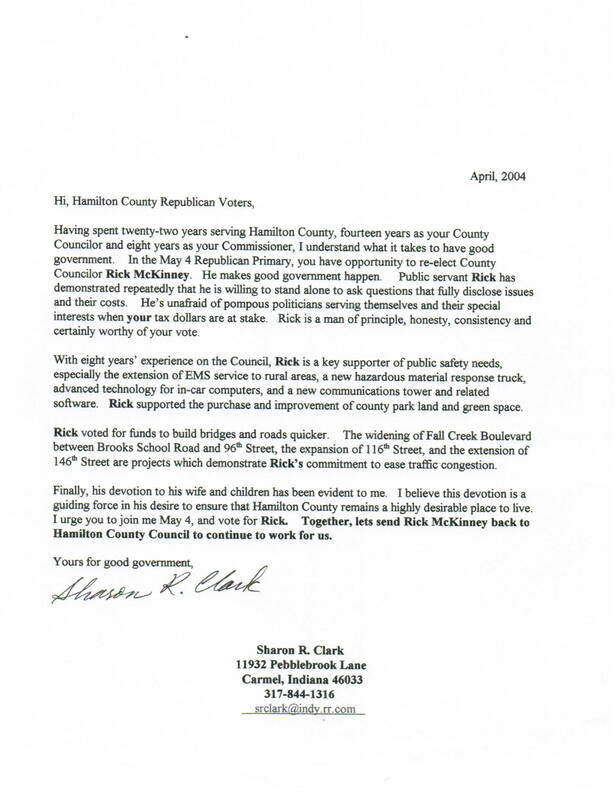 I am deeply appreciative and humbled by the support I received in the May 3 Republican primary and I look forward to the general election in November. I welcome the opportunity to continue serving as the taxpayer's advocate and I'm excited to keep striving to make Hamilton County a great place in which to work, play and live. "That government is best that governs least." 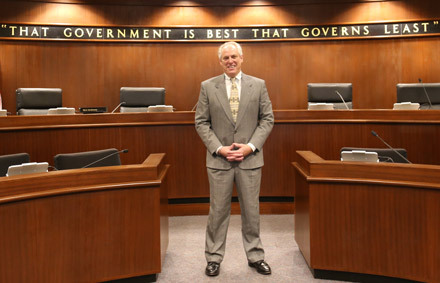 Thomas Jefferson's famous quote hangs in the Hamilton County Council chambers. It's a motto that I believe firmly in and will always uphold. Hamilton County leads Indiana in the areas of quality of life, citizen safety and fiscally responsible county government. I have been involved in funding many of the projects which have contributed to this success. 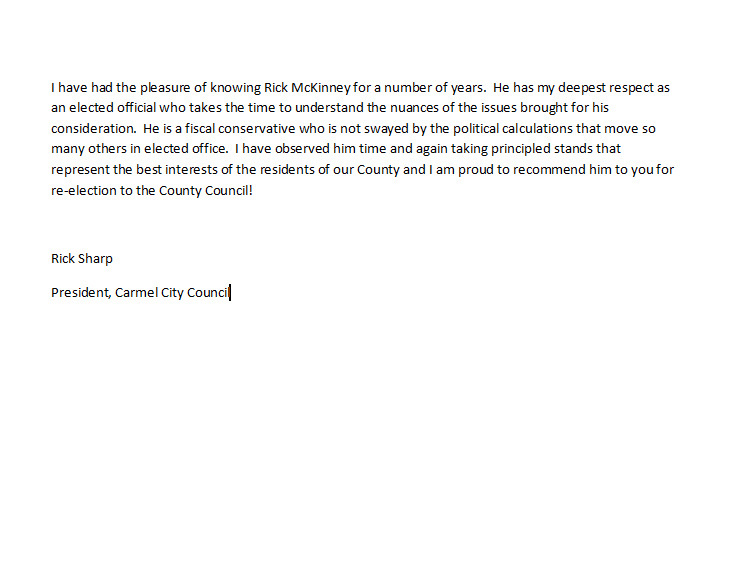 I would like to continue to represent the citizens as an advocate for the taxpayer and work to maintain the County's position as a leader in fiscal responsibility. 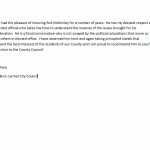 There have been cooperation, collaboration and compromise by the County Council with County Commissioners on various projects, as evidenced by multiple government awards. 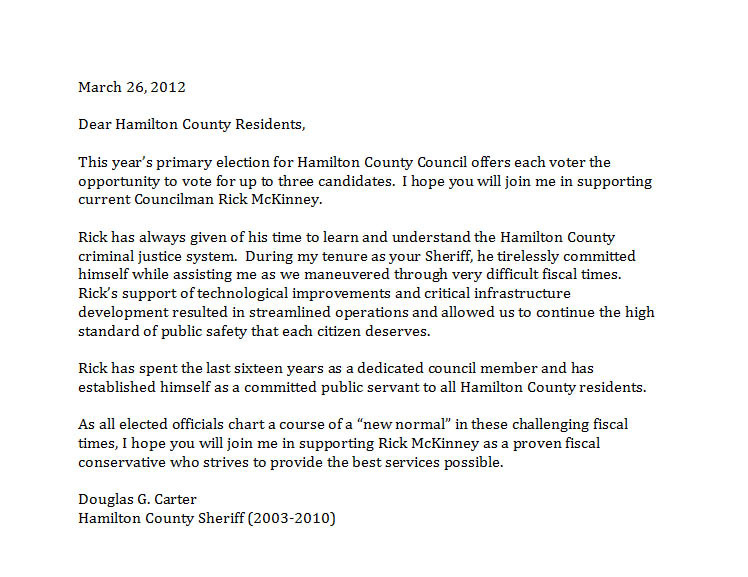 I make my decisions based on what is best for the citizens of Hamilton County -- always. 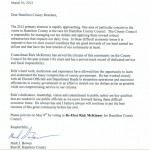 Added Pedestrian Bridge for Monon trail over 146th St.
New bridge on Cumberland Road between 116th and 106th St.
For more details about other important issues Hamilton County faces this election, click here to read more. 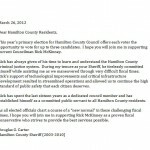 Several leading County officials voiced their support of my 2012 campaign for Hamilton County Council. 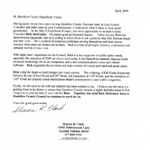 Click the images to view their full letters. © 2019 Rick McKinney. Proven. Conservative.